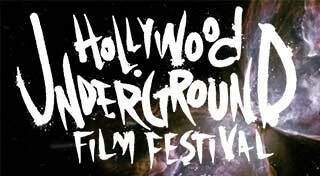 Along with partners the American Cinematheque and Jumpcut Cafe, the Underground Film Journal is thrilled to be co-presenting the first ever Hollywood Underground Film Festival, which will be a one-night event at the Egyptian Theater on Saturday, February 21. The festival will include two screenings. First, there will be a short film program at 7:30 p.m.; followed at 10:00 p.m. by the world premiere of the exciting new anthology film Betamax, which features new work by Los Angeles underground filmmaking legend Damon Packard. The shorts lineup will include the U.S. premiere of the latest film by longtime Journal favorite Brian Lonano, Crow Hand!! !, which is bloody and fantastic; and Mike Olenick‘s visual epic Red Luck, which won the Best Looking award at the 2014 Chicago Underground Film Festival and the Best Experimental Film at the 2015 Slamdance. Other shorts include a blazingly fun biopic of Hollywood icon Russ Meyer, Up the Valley and Beyond, directed by Todd Rosken; Michael Frost‘s insane patchwork Lana Turner Overdrive; Kent Lambert‘s mind-warping RECKONING 3, which won Best Experimental Film at the 2014 Chicago Underground Film Festival; the brutal MOMENTS excerpt #7 by the always controversial John & Clu Gulager; April Simmons’ dreamy Half Life; Mara Tasker’s grindhouse Sheila Scorned; and lots more demented cinematic offerings. The shorts will then be followed by the blistering world premiere of Betamax, a wild anthology of twisted underground tales featuring new work by Damon Packard, as well as filmmakers Bobby Hacker, Jim Kunz, Scooter McRae and Mike Etoll. 10:00 p.m.: Betamax, dir. Bobby Hacker, Jim Kunz, Scooter McCrae, Mike Etoll and Damon Packard. An anthology of demented tales.